THE ONLY REALTOR IN WESTERN NORTH CAROLINA WITH MEMBERSHIP IN REALTY BOARDS SERVING ALL OF WESTERN NORTH CAROLINA! Your Mill Creek Country Club and Mountain View Specialist! Beautifully Appointed Villa in Mill Creek Country Club! This beautiful villa has an awesome covered porch to enjoy the spectacular golf course and mountain views, and sunsets! Open floor plan, living/dining room with cathedral ceilings, eat-in kitchen, breakfast bar, 2 large bedrooms and 2 baths, end unit, flat yard nicely landscaped, carport and only 2 years new! Don't miss your chance on the nicest villa in Mill Creek! Now Reduced to $165,000, Furnishings are Included! This lovely Chalet features 5.76 acres of pasture and woods, 3 bedrooms, 2 baths and gorgeous views of surrounding mountains and pond below. Wonderful stone faced-fireplace in great room, covered deck across the front, T & G Wood ceilings, Hardwood flooring in living room, must see to appreciate! Owner is motivated too! Unit 144A: 2/2 with garage and views, was $224,000, NOW $204,000! REDUCED AGAIN TO $139,000! HURRY THESE UNITS WON'T LAST LONG AT THESE PRICES! BRAND NEW MILL CREEK VILLAS! Only 2 units left! All are two bedroom, two bath, one level living in wonderful Mill Creek Country Club! For more information on these great deals, click on the links on the left. Each unit is reduced and the owner says SELL! THIS HOME IS SOLD, However, LET US DESIGN AND BUILD ONE FOR YOU! 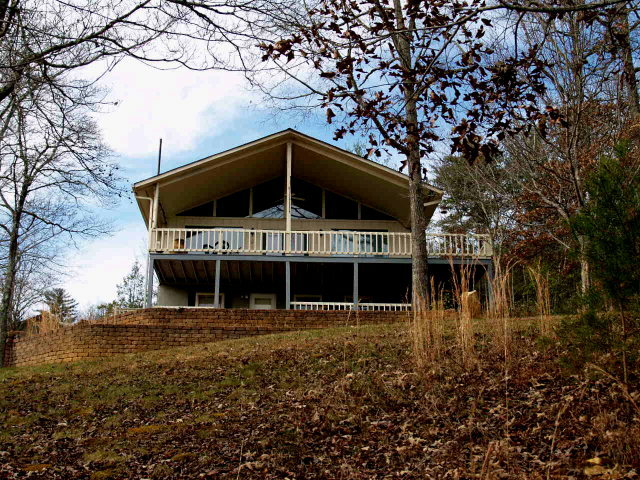 Absolutely the BEST BUILT LOG HOME in Macon County! Under construction, completion date around August 15th. 3 bedrooms, 3.5 baths, on 1.54 acres in Holly Springs. Beautiful long range mountain, close range mountain and pastoral views. 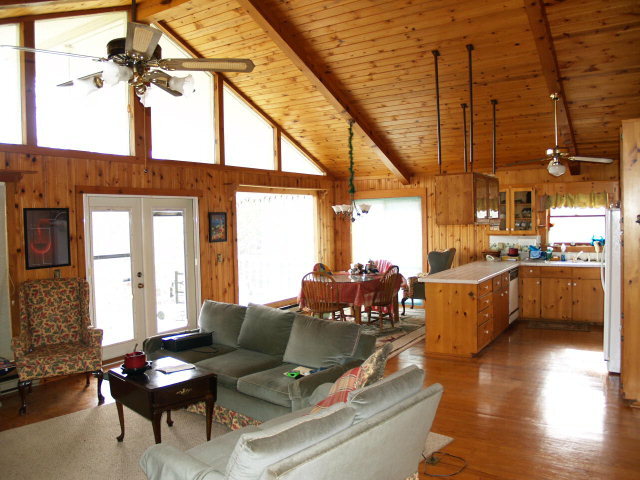 Covered full length front and back porches, open deck off of living and dining room, and balcony off of upper bedroom. FLOOR PLAN FEATURES: Large Master bedroom and bath, walk-in closet. Master bath boasts whirlpool tub, large tile shower, tile floors, double vanity, linen closet. Main floor also includes large utility room, 1/2 bath, open living room, kitchen and dining room with Tongue and Groove 100 year old heart pine vaulted ceilings, stone faced fireplace, open staircase going up to a loft area, full bath, large 2nd bedroom, and storage areas. Downstairs has 3rd bedroom and bath, den and oversized 2 car garage. French doors in dining room and master bedroom open to deck and porch. Den also has french doors leading outside. 1" Wood floors on main and 2nd floor, and all baths will be tiled. LET US DESIGN, MANUFACTURE, AND BUILD ONE FOR YOU! Click here for the PDF slideshow! Great 1/1 Villa In Mill Creek! Beautiful one year new 1 bedroom/1 bath villa in Woodside Villas, backs up to USFS, open living/dining/kitchen area with cathedral ceilins. Stone-faced fireplace, bath with privacy doors, breakfast bar, garage, garden area and more! Sit on the screened porch and enjoy the birds as well as your garden! #44866 Offered for $139,900.